Cyplon Holidays, established award winning specialist tour operator for over 42 years, ‘Star Specialist Operator to the Mediterranean’ 3 years in a row offering weddings in Cyprus and Greece with its own specialist wedding dept. The Only Wedding Company to hold the UKAWP certification in CYPRUS!! The Professional Wedding Specialists in Cyprus. 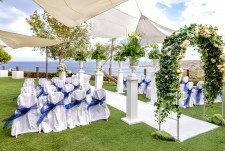 We now offer everything for your wedding in Paphos, Cyprus! Welcome to the world of weddings, let our expertise cater to the most special day of your life. 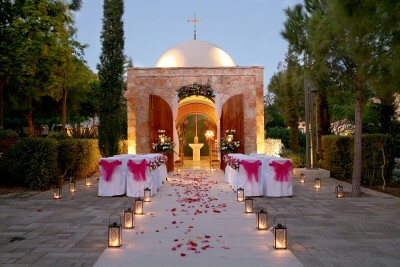 The Grecian Park Hotel offers the experience and dedication you deserve to make your wedding in paradise come true. 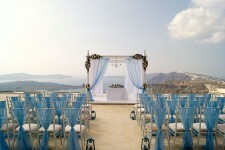 Planet Holidays and Weddings would like to congratulate couples on their forthcoming wedding. With decades of experience and expertise, plus being a fully bonded tour operator and member of AITO, we look forward to having the privilege of sharing your excitement and helping you make all the arrangements for the most important day in your life.